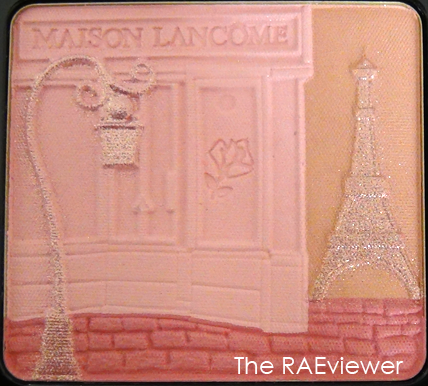 Today's post is dedicated to my favorite blush of Fall 2011. 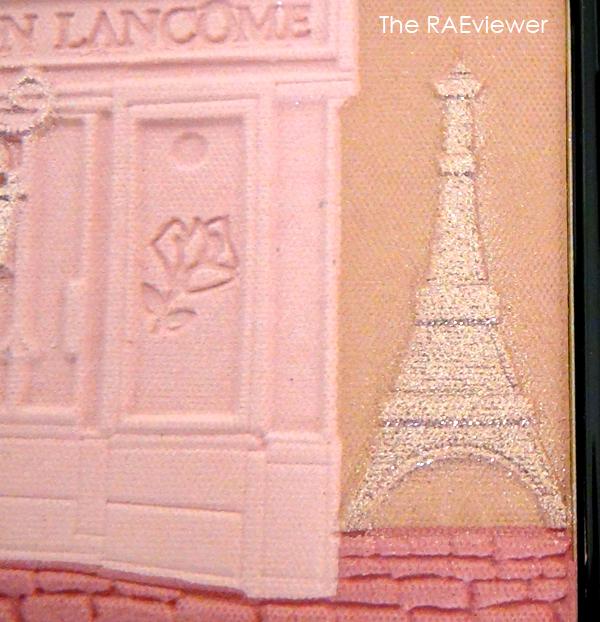 As quoted from the press release: Lancôme’s 2011 Fall Color Collection, named after its original Parisian boutique at 29 St. Honoré, revisits the classic femme fatale era when timeless cult makeup products were born. This seductive color statement captures the glamour of the 1940s with luscious red lips and seductive smokey eyes. 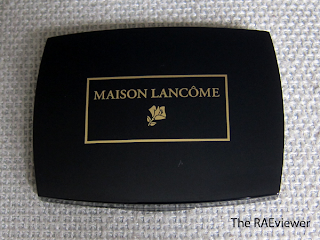 The Maison blusher is a limited edition piece that I had been lusting after since I saw the press release for the collection last month. It is a work of art! 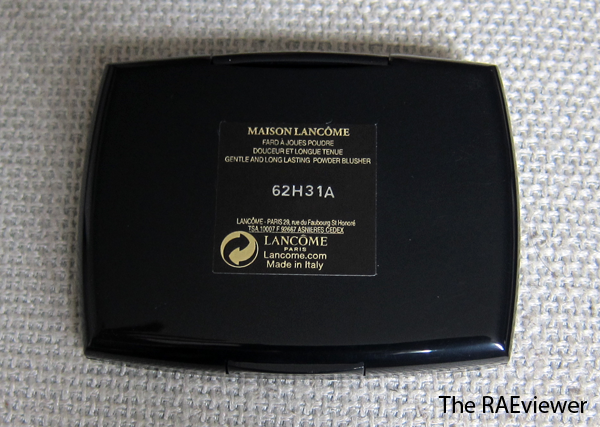 The powder is smooth to the touch, almost creamy. This, ladies and gentlemen, is luxury at its finest. The deep grooves in the embossment of the powder stunned me and most of you know I'm very particular with packaging so let me admit that this is one of the most beautifully constructed cosmetic products I've had the pleasure of owning. 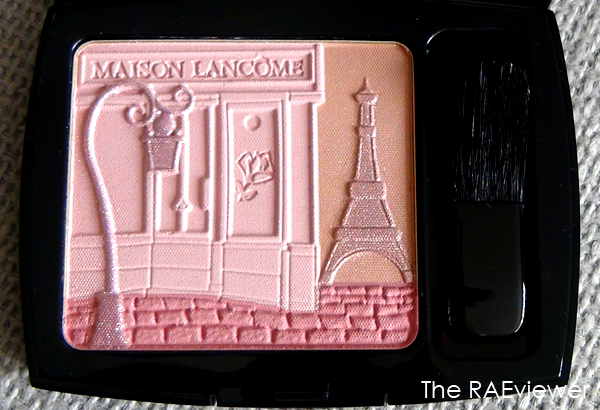 I literally gasped when I opened the compact! 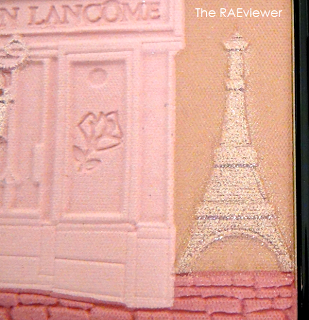 The shimmer effect on the street lamp and the Eiffel Tower is just an overspray, which disappears after the first use. I was afraid the three colors - an icy pink, pale peach, and medium pink - would disappear into my tanned Chanel 40 skin but they create the loveliest baby pink that does not turn red once oxidized, and yes - the color is apparent on my cheeks! 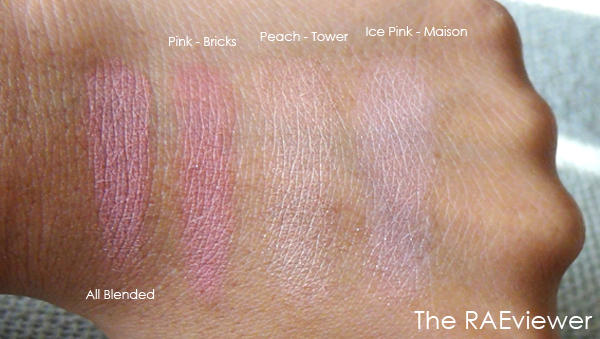 I can, and will, use the three shades mixed as a blush all year round. The product is made in Italy, for those curious! And because I am hopelessly in love with this product, one last photo to capture the details! Bottom Line: You need it. I'm buying a back-up. I ordered mine online from Lancome and its almost here!! Gorgeous, I hope it shows up on my NC42 skin. how gorgeous is that! OMG. incredible. is this available at department stores in the US??? I can't even express how much I want this. 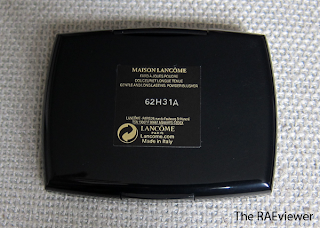 MakeupLand - It's available on the Lancome website and should hit stores within two weeks! TehTeh - It will eventually disappear, as with all embossed compacts, but I've used it three times now and the design is still very present. 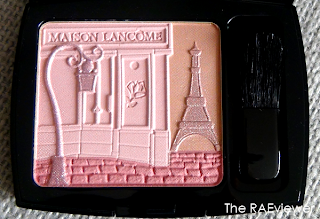 Shimmering2light - You can find it on Lancome's website and Nordie's should have it within two weeks! it looks almost like a framed picture. 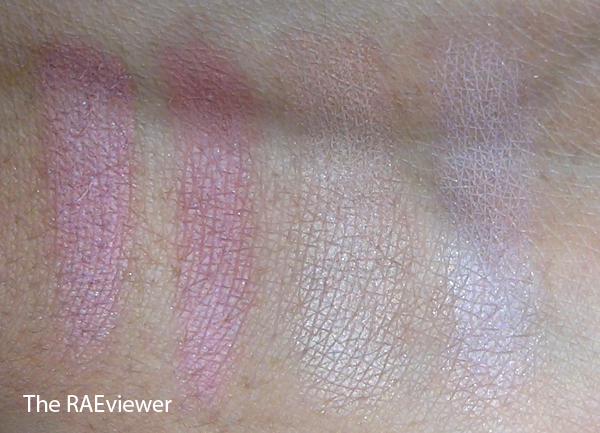 the swatches don't really look that shimmery. would you say this is pretty much a matte blush? I went to my local Macy's this weekend hoping to see a sample at the counter so I could swatch, I was also afraid of it not showing up on my skin. 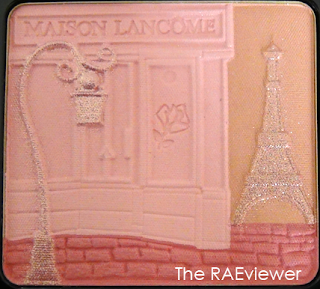 Thanks soooo much for the swatches Rae, I am ordering from Lancome right now before it runs out!!! 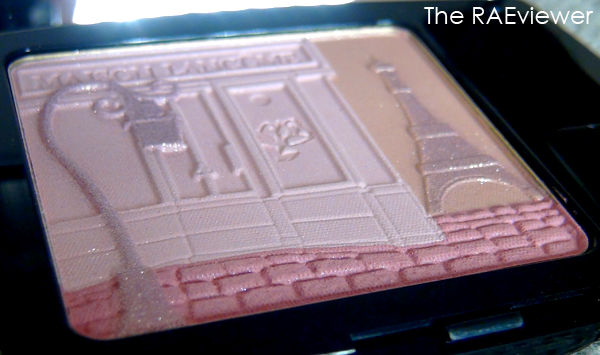 How gorgeous is the embossed design of this blush?! So beautiful, chic, and Parisian! I got this today! I'm so so so so so happy that my local Macy's still ahd them in stock! YAYY! It's absolutely gorgeous, so gorgoues in fact, I'm terrified of using it because the gold overspray will fade :( Can you pretty please do a tutorial featuring this product? And also, if you can the Chanel Topkapi quad!! <3 <3 Thanks Rae! Can you post a tutorial for this? Ive had this blush since you posted this in August but haven't had time to even use it yet. I don't know how. please help?